The Short Version: Dating and relationship coach Patrick Stedman prompts life-changing personal development in single men of all ages. After spending over a decade studying human interactions, he developed sound attraction guidelines to help men take control of their dating lives. 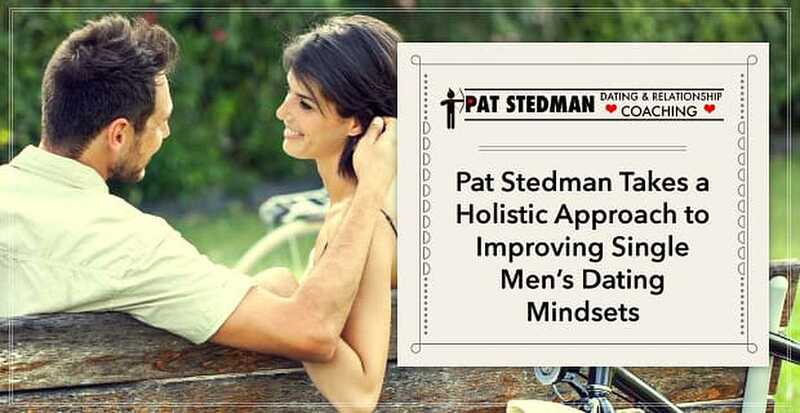 Based in New York City, Patrick and his holistic coaching methods (available in an hour-long consultation or a three-month retainer) can boost his clients’ self-esteem and foster long-term romantic success. If you’re having trouble attracting women and want to hone your dating skills, Patrick can open your eyes to the romantic possibilities within your reach. All you have to do is trust his advice, believe in yourself, and give it a shot. Over 10 years ago, Patrick Stedman started his journey to become a dating coach by seeking answers for himself. He wanted to develop his conversational and flirtation skills, so he pored over self-help books and eventually joined the local pick-up community. He was looking for mentorship, and he found plenty of self-confident men willing to be his wingman at bars and clubs. 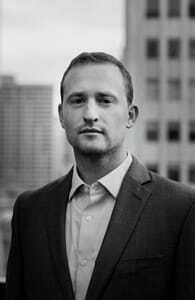 Dating coach Patrick Stedman has studied human behavior and relationships for over a decade. Over time, however, Patrick realized the pick-up style of dating wasn’t for him. He felt it promoted inauthentic interactions and short-term solutions to long-term issues. So he began mingling with more spiritual people in San Diego. He felt drawn to their honest and expressive approach to life, love, and relationships. By seeking guidance from others for over a decade, Patrick gradually developed his own philosophy about how to attract fulfilling and lasting relationships. Now Patrick runs a coaching business for single men willing to change, learn, and thrive in the dating scene. Based in New York City, he offers several deep-dive coaching programs and promises not to watch the clock during sessions. He supports men throughout the dating process with empathetic and hands-on assistance. Although he mostly works with singles over the phone, he said he’ll always respond to a text message from his clients. Whether you’re interested in a one-hour strategy session or a three-month consulting package, you can rely on Patrick to provide constructive advice and long-term remedies for any and all dating issues. Patrick works with singles of all ages, from college students to divorced fathers, but the majority of his clients are in their late 20s and interested in settling down with someone special. The dating coach specializes in identifying his clients’ false beliefs about dating or about themselves and then offering positive counterpoints to change their minds for the better. After 10 years of study, Patrick began teaching single men about the pillars of romantic attraction. In his coaching sessions, Patrick told us he zeroes in on three aspects of relationship success: environmental factors, persona, and personality. Understanding these key facets provides a solid foundation for building social and romantic bonds with people from all walks of life. First, Patrick looks at the environmental factors around his clients. The dating coach pays especial attention to how social status impacts romantic success. Some men don’t need pointers on their conversational styles or dating techniques — they need a suitable dating environment to meet eligible women. Additionally, Patrick teaches his clients to understand the female psyche and develop a sense of their own masculine energy. His dating tactics and strategies take into account the gender-specific persona and patterns of thinking that come into play when a man courts a woman (or vice versa). It’s not about creating a facade; it’s about knowing and expressing your personal strengths. By helping clients develop an attractive persona, which means behaving confidently in social situations, Patrick empowers singles to woo anyone anywhere. Last of all, Patrick endeavors to understand his client’s personality type and adjust his coaching tactics accordingly. He categorizes men into Jungian archetypes to get to the root of a person’s dating patterns. Through his psychoanalysis, he helps his clients become more self-aware and see what strengths and weaknesses impact their personal relationships. Patrick told us one his toughest cases — and most rewarding successes — came from working with a single man with a disability. The man said he didn’t feel attractive because he was in a wheelchair, and he didn’t think any woman would want to date him. Within a short period of time, Patrick peeled back the man’s resentment and restored his confidence in himself. The coaching sessions transformed the man from a lonely and hopeless single to a popular and active dater with a busy social life. Looking to the future, Patrick said he hopes to make his life-changing lessons accessible to men around the world via online courses and self-help books. His next book, which he’s still working on, will encompass stories and takeaways from three years of coaching single men.